Welcome to the Endumeni Municipal area that derives its name from the spectacular peak of Indumeni Mountain that towers over the picturesque and historically significant towns of Glencoe, Wasbank and Dundee.The area is noted for its agricultural industry, particularly dairy, beef and game ranching. The coal mining industry, which sustained the area economically for over a century, is not as vibrant as it once was but coal is still mined here. Equidistant from both Johannesburg and Durban, the region is the geographic and administrative centre of Northern KwaZulu Natal, and is particularly noted for its battlefields and associated military history. There are 68 battle and skirmish sites within a two-hour drive of Dundee. Names such as Isandlwana, Rorke’s Drift, Blood River and Talana, have echoed through the centuries as testimony to the courage and ultimate futility of war. Zulus, Boers and British; all have shed their life-blood for causes in which they believed. Their epic stories, woven together with the rich tapestry of Zulu culture, draw thousands of tourists from all over the world. The military and cultural history of the area is admirably displayed in the Talana Museum, a multi-cultural centre just 2km outside Dundee. An ideal stop over, with excellent facilities, curio shop and restaurant, Talana is a must. But that’s not all that we’re famous for! Not by a long shot! 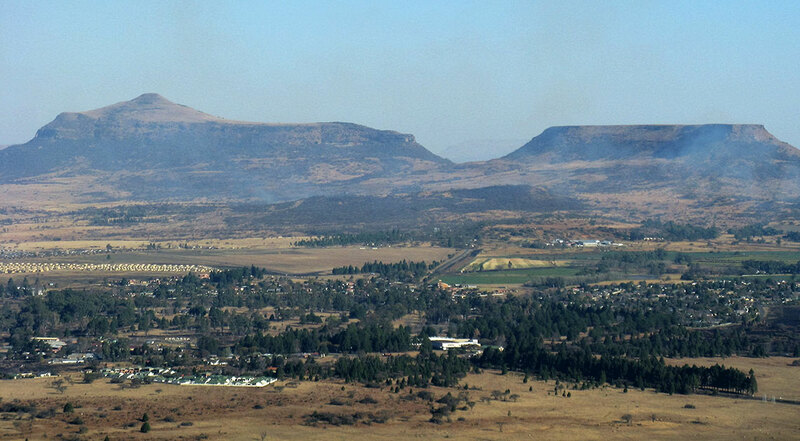 Dundee is also equidistant from the Berg Resorts in the west and Ithala Game Reserve in the east, thus making Dundee a good base from which to visit these attractions. Apart from tours specializing in our military history and Zulu culture, one can indulge in adventure sports (white water rafting, absailing, hiking and horse trails), game viewing, hunting and some of the best birding and fishing in the province. With game ranches are only a few kilometres from town and the Nambithi Big Five game reserve only 50 km from Dundee you are assured of seeing animals in their natural environment. An 18-hole golf course, tennis courts, squash courts, bowling greens, hockey, cricket, football and rugby are available for the sportsman. There is excellent infrastructure in place to assist you. Our accommodation establishments range from exclusive lodges to backpacker’s hostel with everything in between. The black topped roads are well sign-posted and kept in good repair. Skilled craftsmen and women produce exquisite curios, basketwork, beadwork, carpets and carvings. Our weather is usually hot and sunny. During the summer, rainy season, from October to March, we experience some heavy afternoon showers. Sunscreen, hats and a raincoat are essential. The “winter” months of May to July are bracing and cool — bring a jacket for early mornings and evenings. We are in a non-malaria area, so you don’t have to worry about the mosquitoes. And you are probably still wondering why Dundee is a city? Well there are 2 definitions for a city – one is population and yes we definitely do not qualify. The other is if the town has a cathedral which is the centre of the bishopric (an ancient English definition no longer in use). Well Dundee has a cathedral and it is the centre of the bishopric – so are we a city?